Leaf Spring Traction Device Made In the USA. The "Assassin" leaf spring traction device was designed from a clean sheet of paper. With the increases in engine horsepower and the lack of new designed leaf spring traction devices, the "Assassin" was designed specifically to handle today's high horsepower engines. 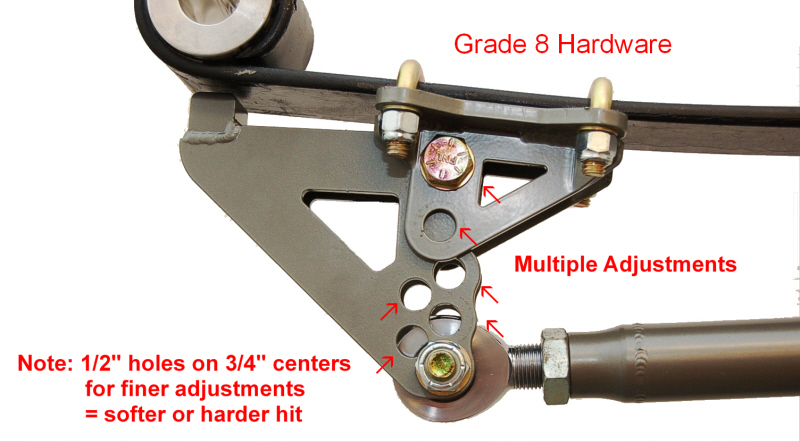 Featuring chromoly tube construction, Teflon lined rod ends and heavy duty gusset spring brackets with a built-in tie down, the Assassin is built to last and best of all, it offers more adjustments for better traction control than any other leaf spring device and easy installation (no removing of leaf springs required). This device will fit both mono and multi-leaf spring applications and is approved by NHRA and NCMA. It has been reported in back to back testing of the "Assassin" traction device that it lowered 60 foot times by .05 or more. 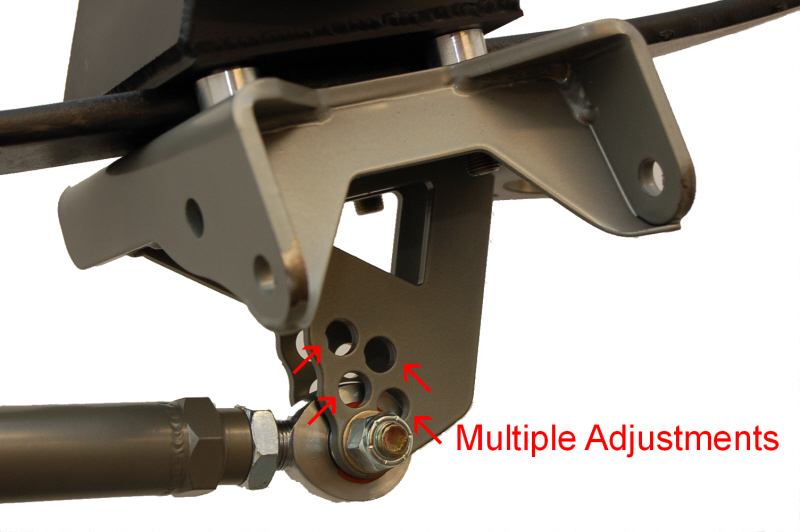 The strength and adjustability of the "Assassin" will be an asset for keeping your vehicle under control. 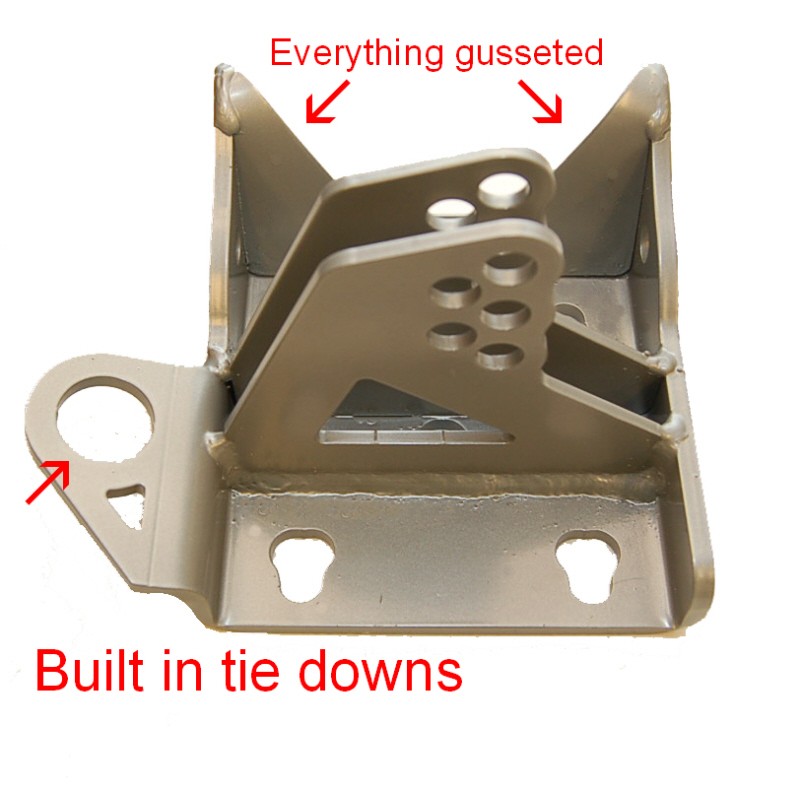 •Easy to Install No leaf Spring removal is required!